The Severn Valley Railway started operations in 1970, following the closure by British Railways of the lines along the valley. In 1984 the line from Bridgnorth was extended south to Kidderminster and a new terminus was built on the site of a former B.R. goods yard. 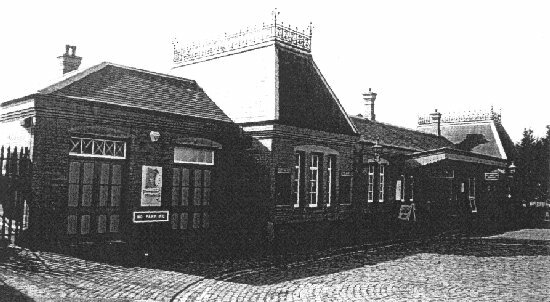 The operators of the railway decided to erect a station based on the former station at Ross, as described on a plaque on the building. 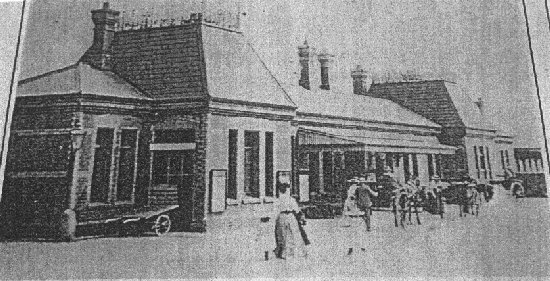 The photographs below of the Kidderminster station today and the old Ross station (taken from the display - now rather faded - under the old railway arches at Fiveways) show that the design was followed quite closely.